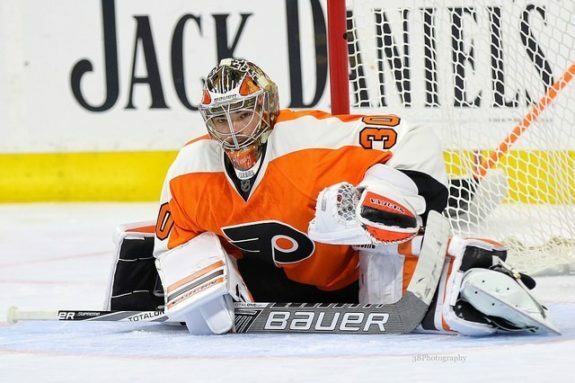 The Philadelphia Flyers are finding themselves heading down a dark road as the season ends. The Philadelphia Flyers want to be the team that surprises everyone and makes the playoffs. They’re three points away from a playoff spot but they played one of their best games of the season Tuesday night against the Carolina Hurricanes. They out shot Carolina 37-17 but still ended up with a 3-1 loss. It was a loss that ended the team’s five game road trip and left the Flyers with a 2-2-1 record. This record isn’t helping the Flyers in a month where they have 15 games in 29 days. The team, while struggling on the road, opened up a season-high six game home stand with a 3-2 win over the Minnesota Wild. They’ve only won seven games in the month and that isn’t exactly a number of a playoff contending team. Sitting seventh in their division puts them far out of divisional race but they’re not going to back down slowly. Yet it is concerning that a team who just a month ago was making headlines is going down a slope. While there aren’t huge problems, there are a few factors that are contributing to the Flyers’ issues. The month of February had a lot of divisional and conference games for the Flyers. Some of them have been games that weren’t considered to be against tough teams. Others against the Washington Capitals and New York Rangers proved to be challenges for the team. While these games are behind them, they have deep lasting impacts. The team not only showed that they are still vulnerable at full strength but that they have an issue with driving their possession. It’s hard to pinpoint the exact game where the Flyers started to hit their downward decline but it was about mid-January when things started to trend down. One of the best ways to see their decline is the Corsi. Since mid-January, their Corsi rating has been 45.5 percent, which ranks 28th in the NHL. That is not a good sign for a team that had otherwise been playing solid hockey. As the season winds down, is there any hope that the Flyers will get have an easier schedule? Matt Sitkoff of the NHL Network has made a breakdown of the Metropolitan Division from March 1 onward. All the teams the Flyers have to face are strong teams. The average win percentage of all the teams is 56 percent and the Flyers don’t get a break from that. The team plays games pretty much back to back and that does wear on players. It makes them tired and losing focusing will only hinder their playoff aspirations. It is going to be a difficult for the Flyers to make a case for a playoff spot when they’re consistently ending up with the short end of the stick. A schedule might not seem like something that would be an impact factor for the team but for the Flyers, it’s unfortunately going to be something they have to keep in mind. Injuries are never good for anyone’s roster. They make it difficult to call up new players and get them acclimated soon enough. The Flyers are finding out that injuries are a pin poking at their playoff dream balloon. They’ve been fortunate that players like star rookie Shayne Gostisbehere hasn’t caught the injury bug. However, when some of the Flyers’ biggest names are sidelined, it doesn’t bode well for the future. The biggest loss has been Michael Del Zotto. He’s been one of the team’s best defensemen during the season and one of the best second-unit power play member on the Flyers squad. Yet the team is going to be without him for the rest of the season as he suffered a wrist injury. Del Zotto is expected to be out 3-4 months and wouldn’t be back until the Flyers (potentially) are deep into the playoffs. The loss of Del Zotto not only hurts the team but his work with teammate Radko Gudas. The two have been muscle and the brains and without him, the Flyers are at a loss for a solid player. Another minor loss is the day-by-day Claude Giroux. While it is a good sign that he returned to practice for the Flyers on Friday, head coach Dave Hakstol is not sure if he will return to the lineup for Saturday’s game. 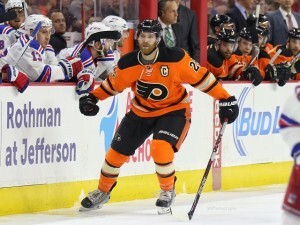 Giroux has been out since February 19th with a suspected concussion and has been replaced by Sam Gagner on the line. They’ve played well without him but a long term effect without wouldn’t be desired. Giroux is strong on the first line along with Wayne Simmonds and has been a shining star during full strength. It’ll be a welcome relief if he is back on the ice and could be a huge difference for the Flyers.